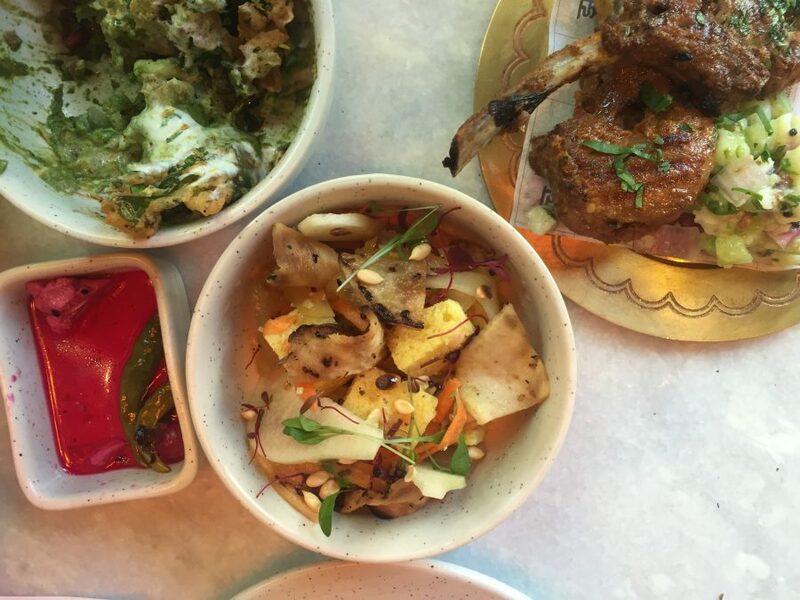 You’ve heard of Indian small plates (Kricket / Gunpowder), well now we’ve got Indian half plates and it comes from a new restaurant on Shaftesbury Avenue called Talli Joe, opposite Nisbets and that fancy dress shop. 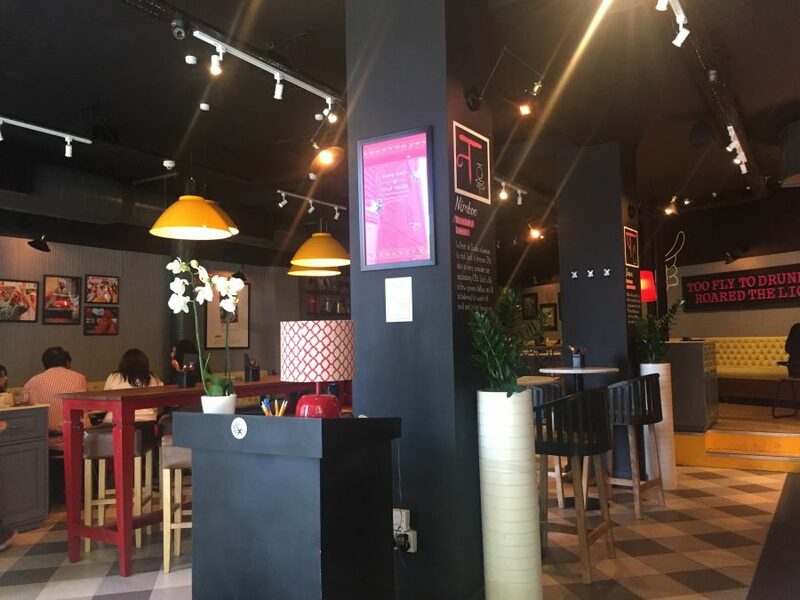 Inside it’s a fairly simple space with lots of bright pink quotes and sayings against the black walls – it could feel a bit naff but along with a really sweet and charming service, it’s all rather sweet. 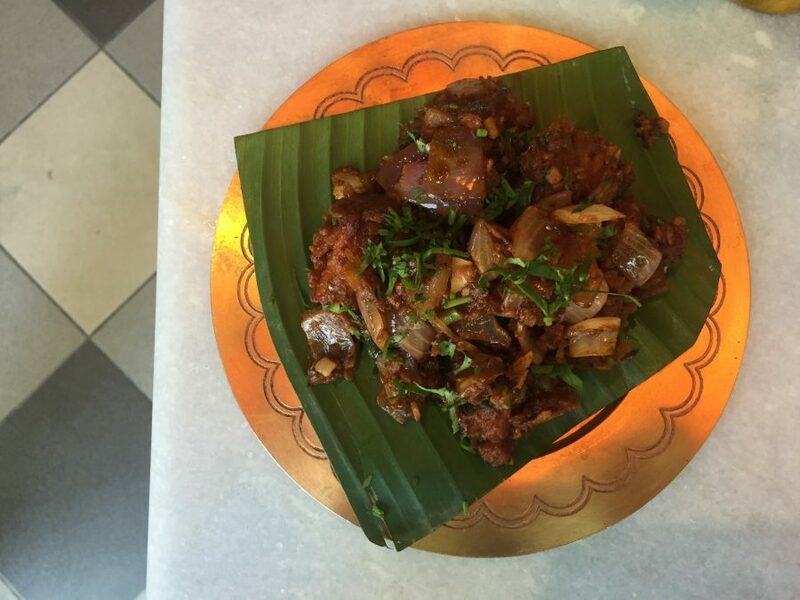 Whether you like the decor or not, the food is where Talli Joe impresses. Kale chaat (£5) was an interesting take on the Indian staple. 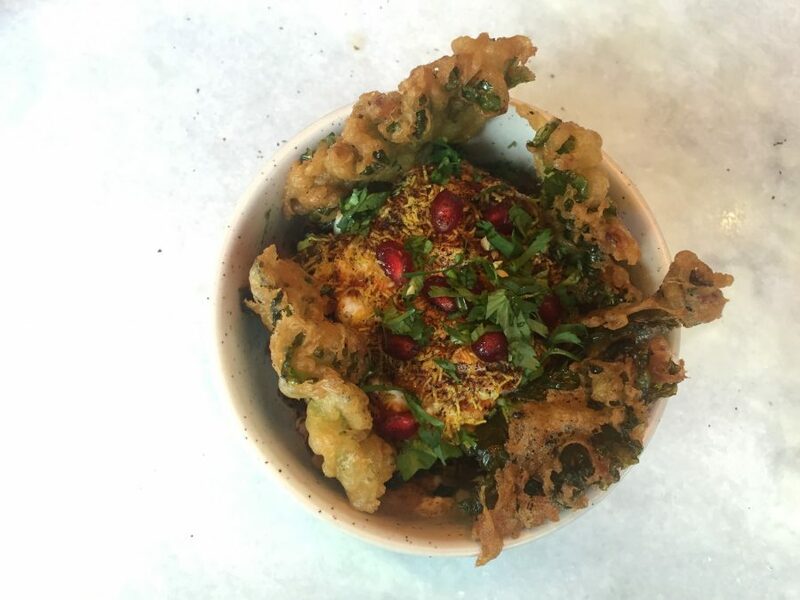 Here, the deep fried kale working brilliantly with the pomegranate. 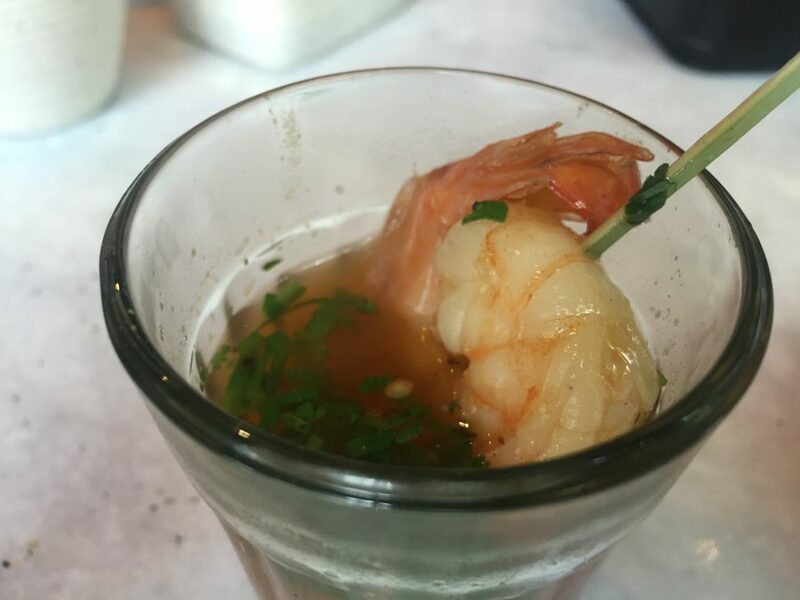 Little shots of tomato broth came with a prawn on a stick (£3.50 each); the broth being fiery and aggressive in an exciting kind of way. Chicken 21 (£6.25) came with loads of sticky onions and again featured strong spicing. 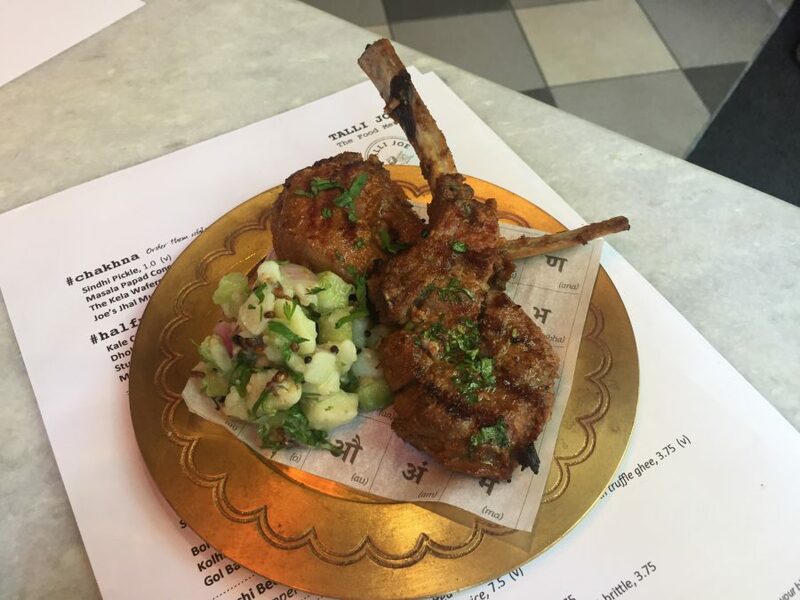 Tandoori lamb chops (£10.50) were soft as anything and the fat was cooked all the way through giving the meat loads of flavour. 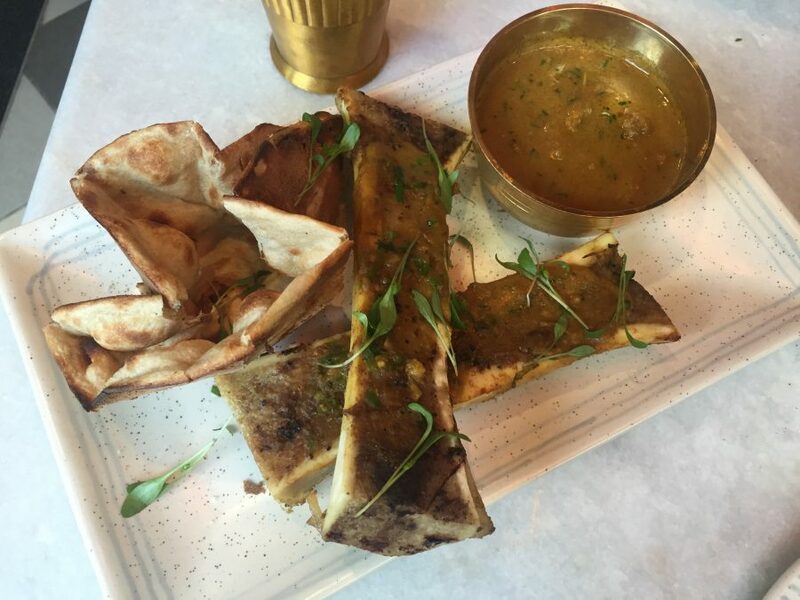 Veal bone marrow and a veal curry (£6) reminded me somewhat of the bone marrow veruval at Hoppers. Here the kadak roti was a little more dense but the idea (a very good one at that) was still the same. 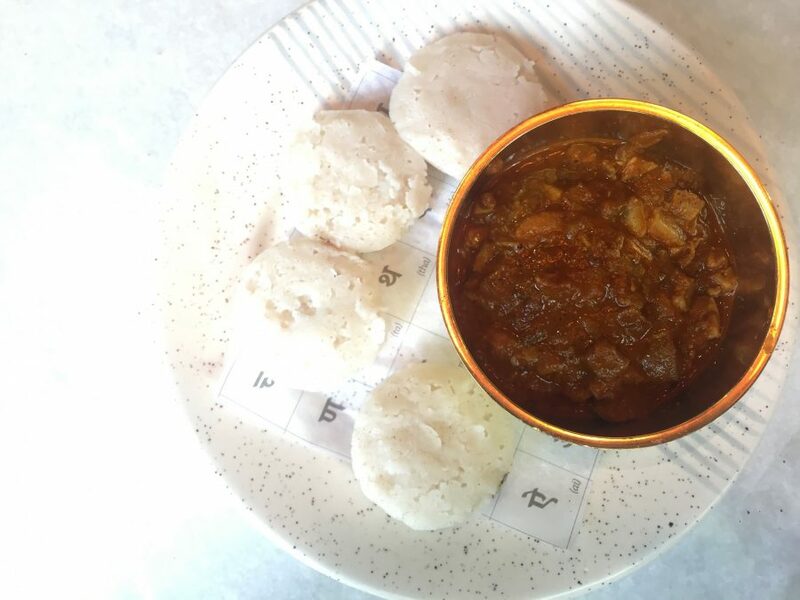 There were a few bits I was less keen on; ‘Sorpotel & Sanna’ (£6) was a pork curry with a thick, luscious sauce and a heat that brought a tear to my eye but the accompanying rice cakes had an odd texture. Lentil stuffed bitter melon (£5) hadn’t been washed thoroughly enough after the brining process so was incredibly salty. And the steamed gram flour cakes had the texture of wet sponges. 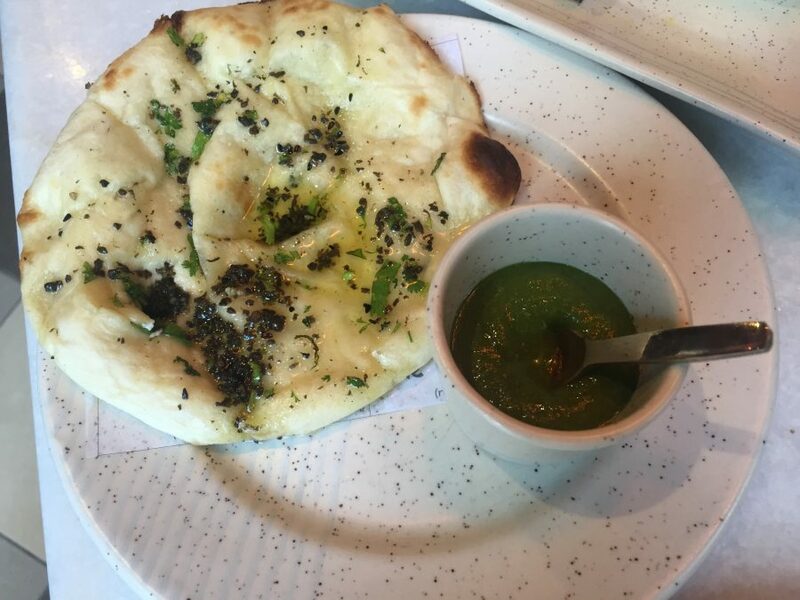 But then you’d eat things like naan stuffed with cottage cheese brushed with truffle ghee (£3.75) which is the sort of dish you simply couldn’t not fall in love with. Puddings, not usually my cup of tea in Indian restaurants, were quite wonderful too. 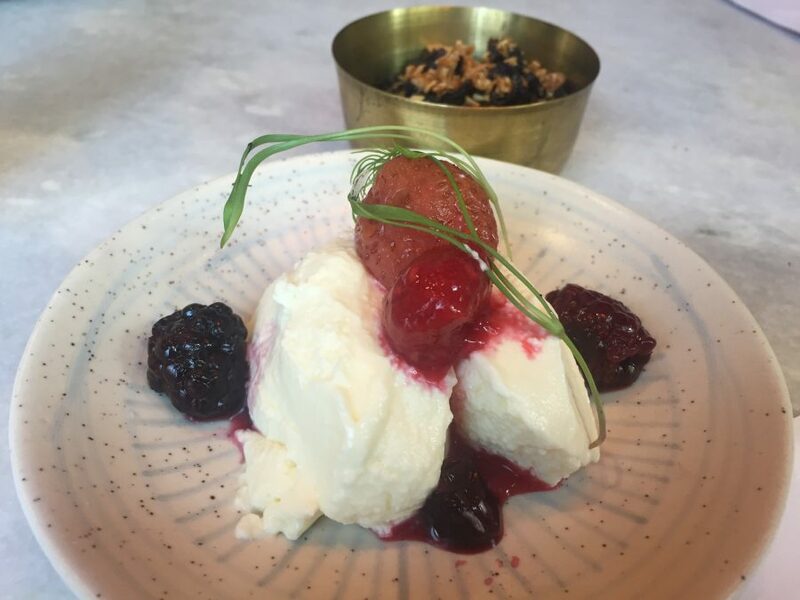 A little bowl of sugar, butter and heritage black carrots (unlike anything I’ve eaten before) topped with a nutty crumb (£3.75) was worryingly addictive – I’d hate to know how many calories I consumed. A baked yoghurt with berries (£3.75) had the flavour of cheesecake but it felt naughty too; the texture was like that of cake mixture. 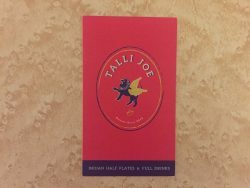 On the whole we really enjoyed the food at Talli Joe – it didn’t play it safe with the dishes and produce Indian food for the masses. The spicing was strong and bold and a few of the dishes are good enough to make you consider ordering them again. I reckon Talli Joe will do rather well and I hope it does – it deserves to.